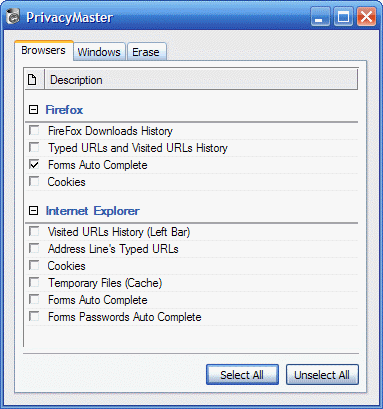 It erases all personal traces on your computer: Visited and typed URLs in Internet Explorer and FireFox, Cache, Cookies. And also the list of recently open documents and many others. And it is totally free!